You’re more than likely familiar with the name Illuminum thanks to the Duchess of Cambridge’s decision to wear the brand’s White Gardenia Petals on her wedding day earlier this year, causing a mass sell out of the floral fragrance. Following this runaway success, the British-based fragrance house are opening what is thought to be the largest independent perfumery in the world right here, in the heart of London. ‘Fume heads everywhere will be delighted to hear that the concept behind the boutique revolves around the idea that luxury fine fragrance should not be about rushing, tills and counters. The space has been designed to invite customers to sit, have a cup of coffee and take their time over the all-important business of scenting! From bespoke offerings to the Haute Perfume Collection comprising of 16 newly launched scents, there should be something for everyone to admire, though with prices starting from £70 for the classic collection and ranging up to £7,500 for a uniquely bespoke creation — it won’t be for everyone. I quite fancy going in there for a Pretty Woman moment, anyone wanna be my Richard Gere? 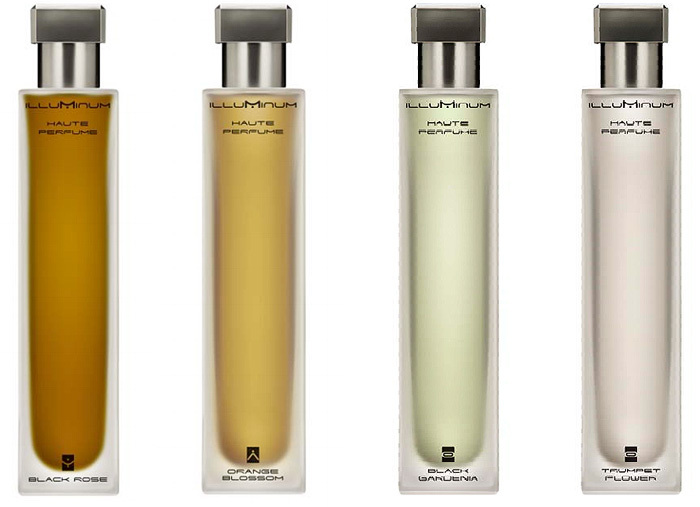 The Illuminum Fragrance Lounge will open at 41/42, Dover Street, Mayfair, London. Oooooo I have a big desire for one of those orange blossom scents!! I don’t know why and I know I’m in the minority, but most0 perfume gives me a horrible headache and makes me feel really sick. I can’t stand it! The only scents that don’t do it are really fresh mens fragrances. Just the thought of visiting this place turns my stomach! Holy moly, what a beautiful ‘lounge’! I would happily sit there smelling perfumes all day!